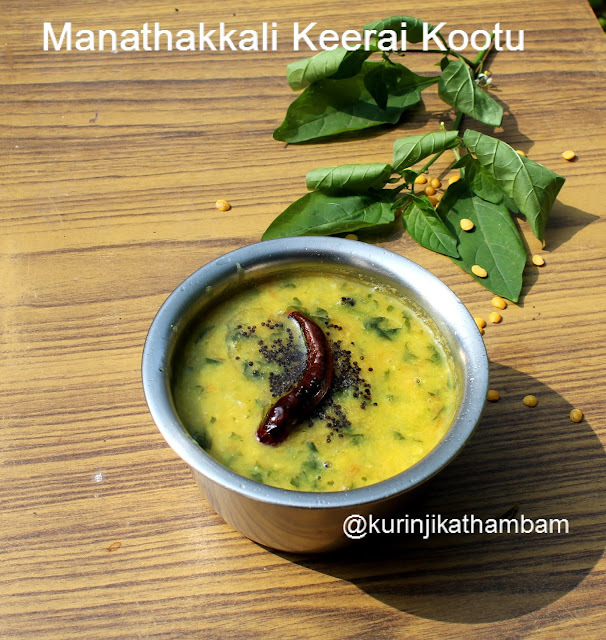 Normally we use moong dal for preparing keerai kootu. 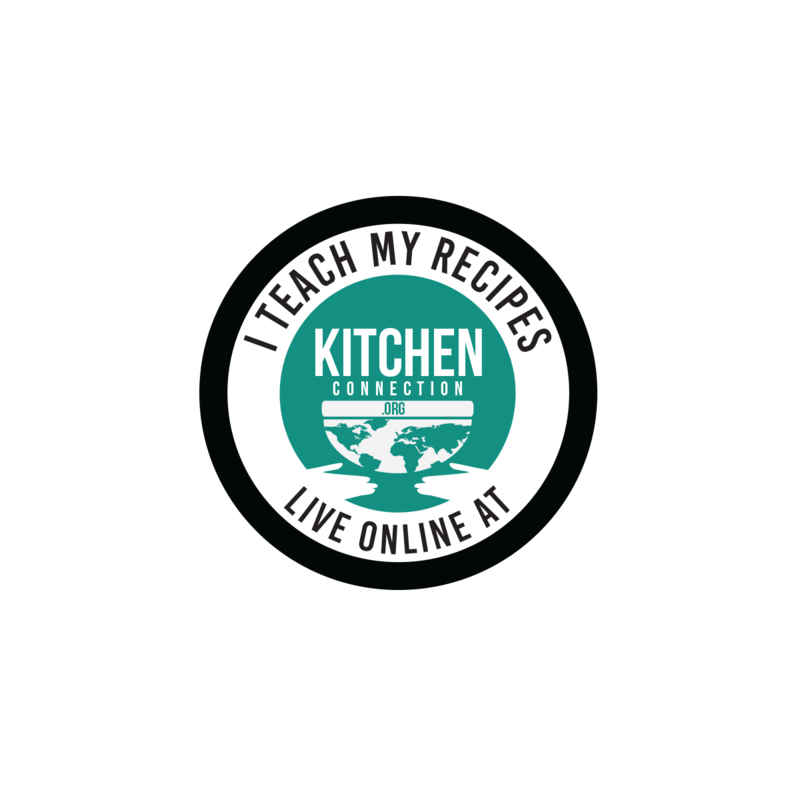 But in this recipe we use thur dal instead of moong dal. The goodness of this recipe is that it hides the bitterness of the keerai completely. 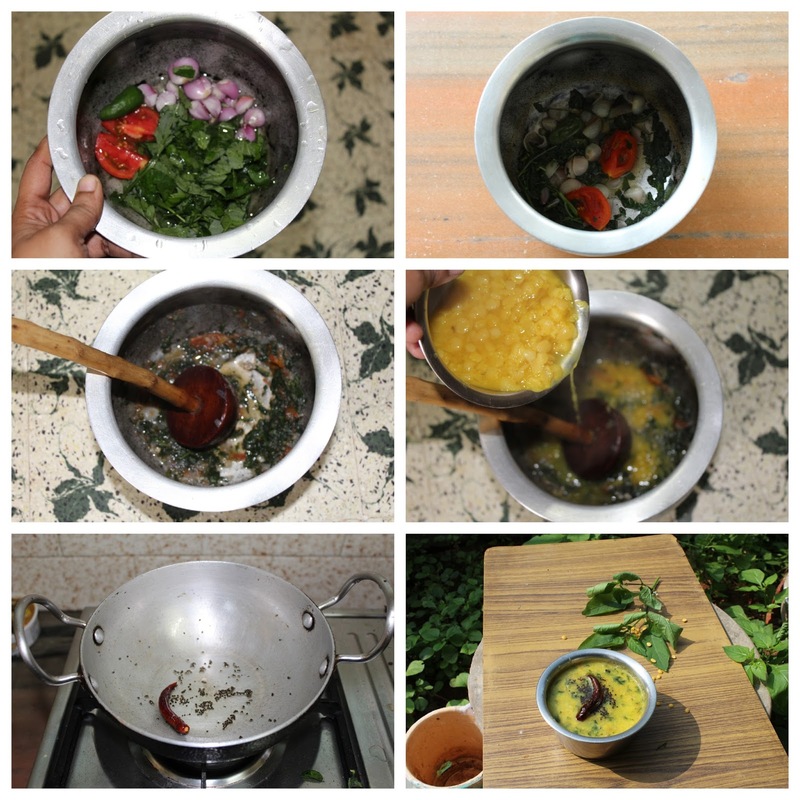 Click HERE to view more Greens / Keerai Recipe. 1. Wash and pressure cook the dal with ¼ cup of water for 2 whistles in high flame. Keep it aside. 2. Wash the leaves and onions. 3. In a vessel, add manathakkali leaves, onion, chopped tomato, green chilli and ½ cup of water. 4. Cook them well till the greens become tender. 5. Mash them well with hand blender ( paruppu maththu). 6. Then add the cooked dal with water and salt to the mashed greens. 7. Cook them well till they incorporate well. 8. Meanwhile, in a pan add a tsp of oil. Add mustard seeds and wait for popping. 9. Then add the whole red chilli and fry till the chilli become crisp. 10. Pour this temper into the dal mixture (from 7) and cook for few more mins. Healthy and tasty manathakkali keeri kootu ready!